I've been kind of silent around here lately. There has been a lot on my heart and a lot on my mind. My heart has ached immensely for the loss of lives out in Colorado. There were so many people who had love ripped out of their lives so sudden and unexpected. It seems unbelievably unfair, but I've come to the conclusion that there are some things this side of Heaven that I simply won't understand. I have wished that there was more I could do in light of the loss of so many lives. However, I did remember that there is one thing that I can do. I can use my voice for good. In all of the conferences that I've attended this past year the one piece of information that stuck with me each time was that when you have a voice and a platform; use it for good. A year ago, I flew thousands of miles away from home to California for a conference. I remember towards the end of it one of the speakers reminded all of us that it doesn't matter if you have 5 readers or 5000 readers, your voice matters, your story matters, people matter. She urged us not to be afraid to use our voices, share our stories, and love people in the process of both. So while there is so little I can do in light of the tragedy, the one thing I can do is choose kindness. It is so simply yet has a profound impact on the world. Kindness is like wrapping your arms around another soul and giving them comfort in a time of need, a time of encouragement, a time of hope. I can make a pledge to choose kindness even when its hard, even when I'm bitter, or mad, or confused. I can wake up every morning and remind myself that kindness matters. I can choose to love others well; both friends and strangers alike. 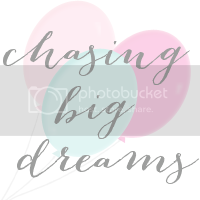 I asked my sweet friend Brandi to make a printable. This is my pledge of kindness. It is truly a simple message; "be kind to one another." This world could use a little more kindness. Perhaps you'll join me in spreading the kindness. Feel free to download the printable (see link below) and share the message of love, of hope, of kindness. 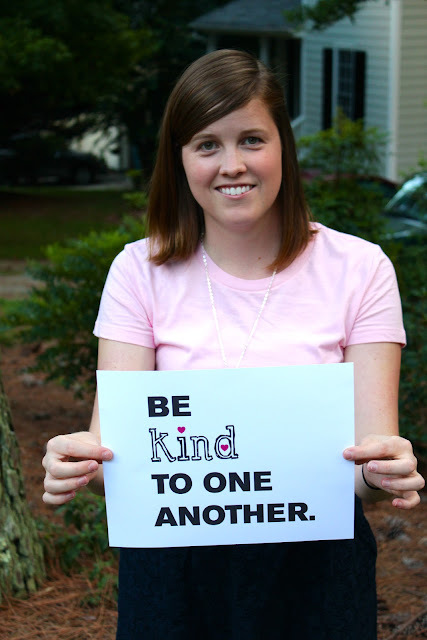 I'm going to post this picture of myself with the printable on my social media sites with the hashtag #bekind. 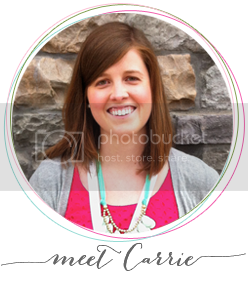 Feel free to snap a picture of yourself with the printable and join me there! I'd love to see all of stand together hand in hand spreading kindness far and wide. Let's use our voices for good. Whose with me? Check here to download printable! Hi! This is such a great idea! I'm totally with you! Problem is, my printer ran out of ink and I am not planning to buy a new one anytime soon. Can I just make a handwritten one I can use? Would that be ok with you? Ellen DeGeneres! I've been living by this motto for so long. She is my favorite person ever, and she's so genuinely nice and real. Everyone should adopt this. It's so easy, and costs you nothing! Can I use the download as a button? Love that idea! And I´m totally with you too!! Amen to this! It doesn't take much time to stop and say something or do something kind for someone else. You never know -- it could make their whole day; maybe even there year! I love this and what a great idea! Thanks for the printable. New to your blog, so off to check out your previous posts. Visiting from Casey's "what is on your heart" :) Following you! Such a great post and overall message. Kindness and happiness are two reasons I started my blog. There is so much negativity in this world, especially on the Internet. I hope that our happy blogs will one day work to change the world for the good! Great job!